People keep telling me that love is in the air at the moment as we approach Valentine’s day; but with the shops bursting with garish pink cards and florists trying to sell me bucket loads of roses at twice the usual price, for me, it’s just not happening… Cupid seems less the god of love and more a plump little cherub attacking me with his bow and arrow and trying to steal my wallet! So where do we turn for a bit of true romance instead of this plastic impersonation? My suggestion is the lovely land of Wales! 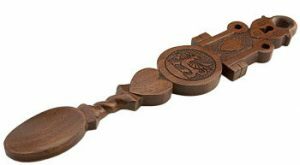 In Wales we have an ancient tradition of the giving of love-spoons. It may not at first sound particularly romantic, presenting your potential love interest with a kitchen utensil, but it is the thought and effort that goes in to them that provides the romance. The age-old tradition is thought to have originated when sailors were at sea and would spend their lonely hours on board the ships meticulously carving and shaping these spoons from bits of wood whilst they lost themselves in thoughts of their loved-one at home. Developing over the years from simple designs, many became skilled to achieve incredibly intricate carvings with a wealth of specific features which symbolized different meanings in their own relationships; everything from hearts and flowers to anchors, chain-links, wheels and key-locks can appear on a love-spoon. After months of work the spoon would be presented to the loved-one, usually as the symbol of the start of a serious relationship. Love-spoons are still given in Wales today and if you visit friends here, you will often see one hanging on the kitchen wall. If you want to see carving in action let us know and we can point you in the direction of a fabulous family-run love-spoon workshop and gallery in Pembrokeshire, South West Wales. Welsh myth is also bubbling with romance! 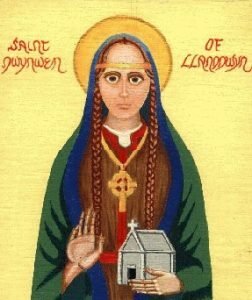 Forget St Valentine, we have St Dwynwen with St Dwynwen’s day celebrated on January twenty-fifth each year. The legend goes that the prettiest daughter of a 5th century King, Dwynwen fell in love with a Prince named Maelon but the King had promised her marriage to another suitor. Frustrated that he couldn’t be with his love Maelon forced himself upon her and she ran in to the woods to escape; as she fell asleep beneath the trees she was visited by an angel who granted her three wishes and told her that Maelon had been turned to ice for his wicked behaviour. Dwynwen wished firstly that she would never marry, as her father wished her to, and that God would protect and meet the wishes of all true lovers. For her third wish, she forgave Maelon and wish that he be thawed. 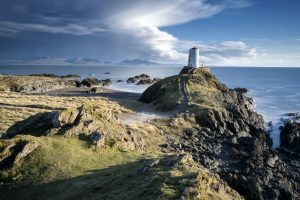 Dwynwen became a nun and a recluse setting up her own chapel on the remote island of Llanddwyn off the coast of North Wales and living out her days alone but for rare visits from star-crossed lovers. 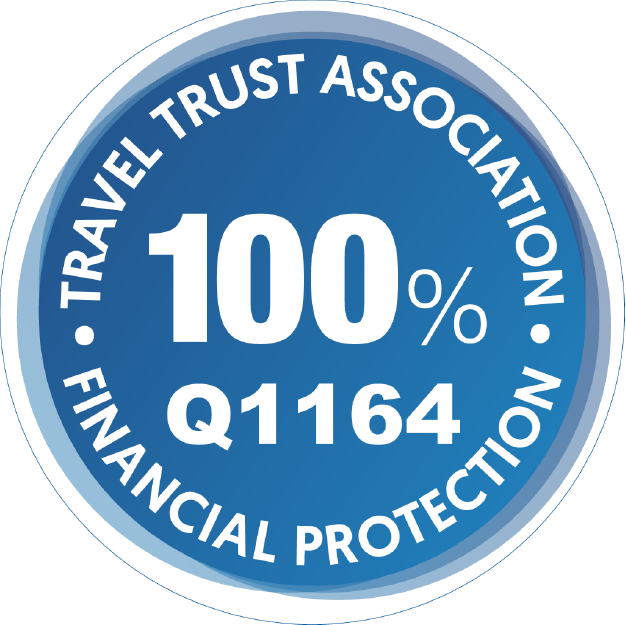 So for a truly romantic trip, why not tour Wales; the nation’s majestic landscapes of dramatic mountains and untouched coastlines dotted with ancient castles offer the perfect romantic back-drop. From Cardiff or Pembrokeshire, make your way to Anglesey in North Wales before walking hand-in-hand with your loved one across to the remote tidal island of Llanddywn and to the ruins of the very church where St Dwynwens stayed, and here you can present her with your love-spoon. How’s that for romantic? And not a tacky love-heart shaped box of chocolates in sight!